Honorary casket bearers were Douglas Bettcher, Robert Parpart, James Parpart and Curtis Marks. Casket bearers were Kevin Gutzmer, Curt Erickson, Alan Jahr, Mark Klaustermeier, Roger Fasching and Greg Wendorff. Interment was in the St. Peter Lutheran Cemetery in Lester Prairie. Ewald Junior Bettcher was born Oct. 17, 1932, to Ewald and Fernadina (Terlinden) Bettcher in Winsted Township, McLeod County. He was baptized Nov. 6, 1932, by the Rev. J.A. Schert. He also was instructed in the Lutheran Catechism and was confirmed in the Christian faith on April 14, 1946. His confirmation memory verse was John 10:27-28. He attended St. Peter Lutheran School. On Sept. 13, 1958, Ewald Junior Bettcher and Dorothy V. Winter were joined in holy marriage at Immanuel Lutheran Church in New Auburn by the Rev. Tinge. God blessed their marriage with two children, Melody and John. Mr. Bettcher farmed with his brother-in-law, Theodore Tonn, until 1970, when he became employed as a carpenter by Lester’s, Inc., for 26 years. He retired from Lester’s in May 1996 to enjoy spending time on his farm. In 1972, he purchased his own farm, where he raised hogs, cattle, chickens, geese, corn and hay. 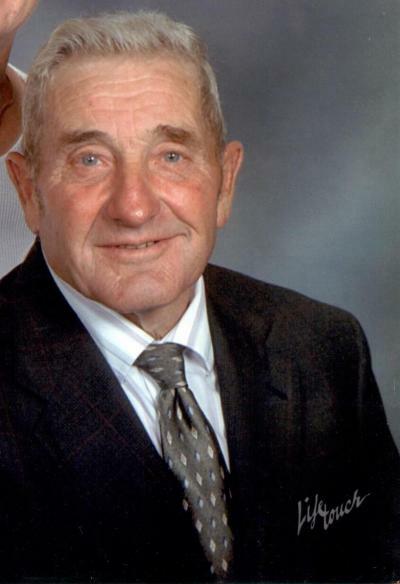 He was lifetime member of St. Peter Lutheran Church and served on numerous church boards throughout the years. He loved spending time with his family and friends, fishing, gardening, playing cards, listening to old-time music and just being on his farm. He is survived by his loving wife, Dorothy; daughter, Melody (Dan) Powers of Kasson; son, John (Leslie) Bettcher of Lino Lakes; granddaughter, Kendra Powers; grandson, Adam Powers; sisters, Della Van Stender, Florence Klaustermeier, Carol Adams and Betty Miller; as well as many other relatives and friends. He was preceded in death by his parents, Ewald and Fernadina Bettcher; siblings, Eunice Wainwright, Violet Tonn, Evangeline Fasching, Derrolla Fasching, Victor Bettcher and Juergen Bettcher.